Nutrition Works manufacturer nutritional products for both sports people and dieters. 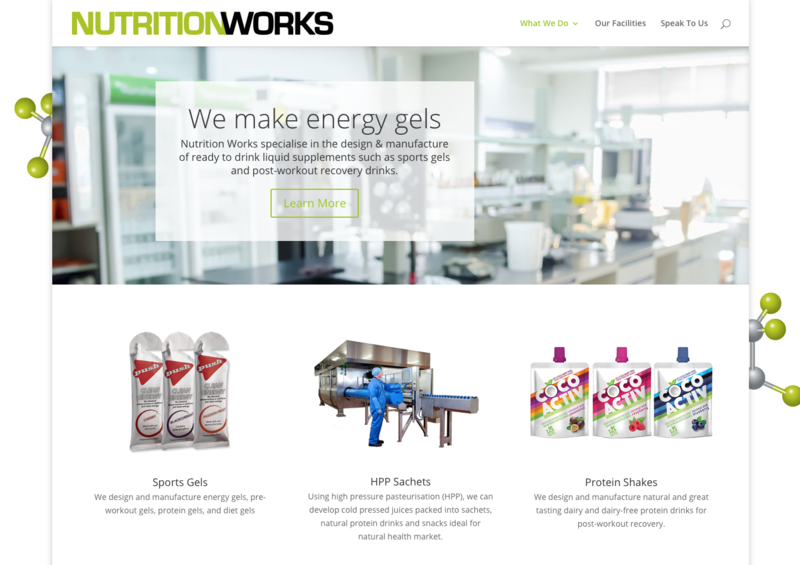 Nimbus were asked to produce a clean and simple site to showcase Nutrition Works’ products and services. In the process we designed a new logo and branding. Nutrition Works needed only to deliver minimal information on their website. With this in mind we built a clean responsive web layout and selected emotive imagery to reinforce their message. The site is built on WordPress which not only provides a great deal of design and layout flexibility, but also delivers a consistent easy-to-use interface for content production. Nutrition Works can log in and add or edit pages directly with no involvement from us. Each new or edited page will carry the same consistent appearance.